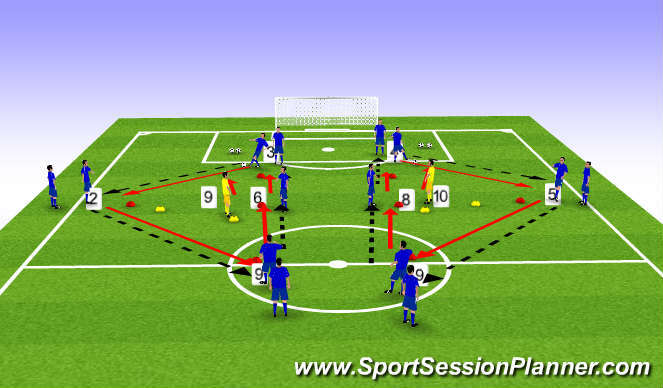 Introduce another two players to place passive pressure on the pass from 2 and 5 out to the top "9". These players work for 1 minute in this position then rotate with another (ideally start with your 7/11 in this position first of all). 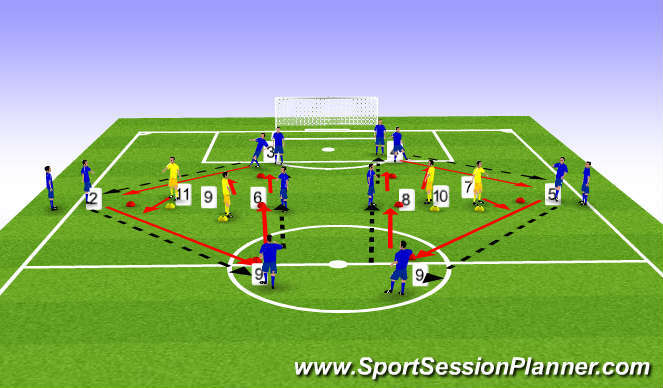 The player pressuring must start inside the 2/5 and run as the ball is travelling towards the 9 and attempt to intercept pass. Player must return to their starting position before pressing the next pass.